GREAT DEALS ON BBQs, OUTDOOR FURNITURE, HOT TUBS AND MUCH MORE. We’re moving out our inventory to make room for next year’s models. And that means big savings for you! Pick up a new BBQ, or that beautiful hot tub you’ve had your eye on. Add a new furniture set or shade system to your backyard, all at prices you won’t find any other time of the year. There’s lots of good weather left to enjoy. Come in today for the best selection. Don’t delay – sale ends Sept. 16. SALE ENDS SEPT. 16, 2017. 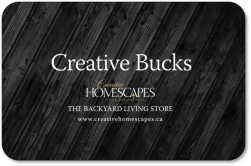 ENTER OUR DRAW FOR YOUR CHANCE TO WIN A $250 GIFT CARD. DETAILS IN STORE.